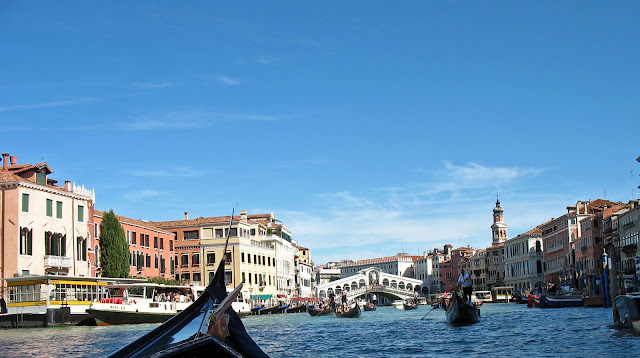 These are photographs of the beautiful city of canals - Venice. The floating city of Venice is made of 117 small islands. The true beauty of the skyline of Venice can be seen only from its belly, from its canals. The photos below capture the beauty and spirit of the city. The first two pics were shot in the dull light of the evening, and the last two on a bright sunny day. This view of the Grand Canal shows pastel coloured buildings on both sides and the dome of Santa Maria della Salute church in the distance. 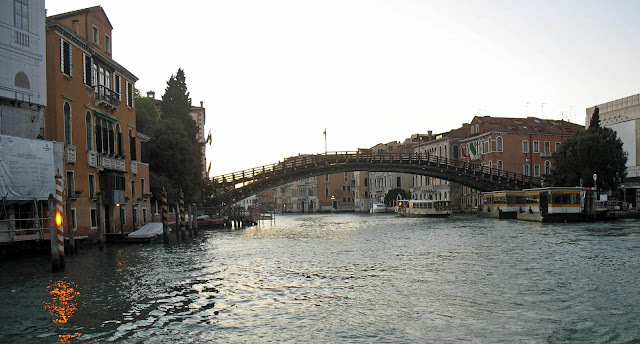 Bridges are iconic of Venice, and no skyline of Venice can be complete without the picture of a bridge against the buildings and the sky. Nor can a representation of Venice be complete without the silhouette of the gondolas and the gondoliers, against the backdrop of the famous bridges of Venice. 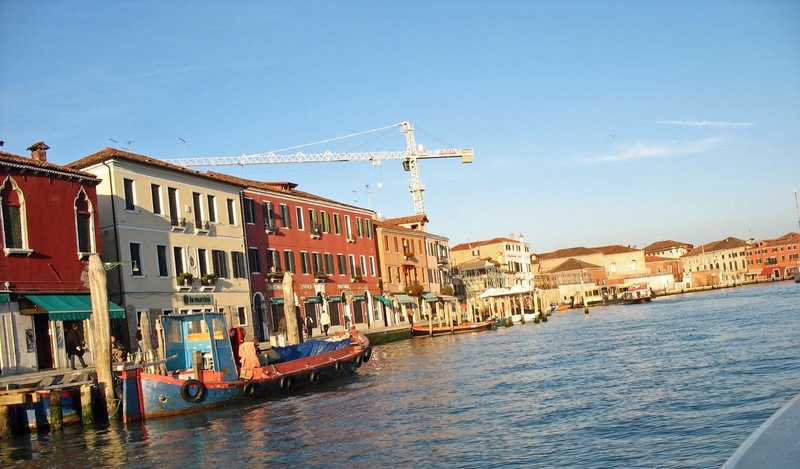 A local told us that Venice is constantly being repaired because of the damage caused by the rising waters. The crane against the skyline of Venice is a reminder that Venice is always changing and repairing itself. Or try any of the labels below this post for more related images.